Smoking can definitely affect our health. The new research results from Uppsala University and Uppsala Clinical Research Center show that smoking even can change some genes. 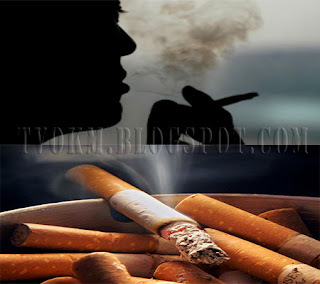 That change can be associated with health problems for smokers such as an increased risk of cancer and diabetes. The conclusion was obtained from a study recently published in the journal of Human Molecular Genetics. Researchers uncovered how genes can change between smokers and smokeless tobacco. They identified a large number of genes changed in smokers but did not find the same effect on smokeless tobacco. The epigenetic modification (chemical changes to DNA that affect gene activity) was not caused by substances in tobacco, but by hundreds of different elements that are formed when tobacco is burned. It has been known that smokers have an increase risk diabetes and various types of cancer, and have low immune defenses and low sperm quality. The results of this study also showed that genes that increase the risk of cancer and diabetes or genes that are important to the immune response or sperm quality are influenced by smoking activity. Therefore, there is an increased risk of disease associated with smoking caused by epigenetic changes. In other words, the molecular mechanisms behind the disease and reduced function of the body can bring better medications and therapies in the future.